but which tough guys can be trusted? A crush or love, mystery and adventure around human and animal welfare: becoming detective & ‘diplomat’, in double action for man and animal, the sisters Minny and Flo find the limits of themselves and their parents and others. The girls are poles (shy or pensive versus bold), but also one front of will-power and determination, with a far-reaching sense of charm, humour, purpose. 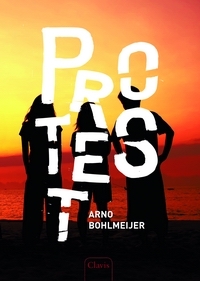 While Flo demonstrates against the killing of young seals, creating a scene at school in front of a TV crew, Minny and mates plan to expose an anti-social bikers gang. One of these turns out to be Rino, whose fall out of a tree was caused by Flo, he claims. Is he after revenge? Another gang member, called Reg, may help Minny out, or will he betray her? Between Rino and Flo all fears and hard feelings are cleared, making room for something else. But then Flo’s visit to his house becomes a clash with his mother, who is hiding a strange letter. During their actions against seal hunts, the Minny & Flo team uncover a mean plot in high places. In the nick of time they need inside help for a risky operation, when they’re looking for evidence in the lion’s den: the Embassy. Rino has upsetting news that involves his mother’s hidden letter. It appears that somebody was a mysterious fatal victim. It’s on the News every day: glaciers melt away. If we have a frightening sense of the future, we need friendship and solidarity to do something about it.